What a brilliant evening it was, just what I needed! You radiate enthusiasm and a joy for music…lovely! It was a great selection of pieces tonight L.R. Bee rides the balance between discipline and freedom – we laugh, learn, sing and grow. B.R. Thank you for a memorable year with the choir. I can’t really express the joy it’s been finding and singing with you. Thank you so much. D.M. Thank you for an amazing experience, singing with you was wonderful. It shows how deeply you feel by the way you conduct with such energy and enthusiasm. Steve. When I first met Bee the unusual warm ups broke the ice. Her difference added a new dimension to my life. I know if I go singing it lifts my spirits even if I’m tired. Bee engenders group cohesion and growth and a sense of belonging. I now know I can hold a note and sing. I no longer hide my voice, I can join my voice with the others. 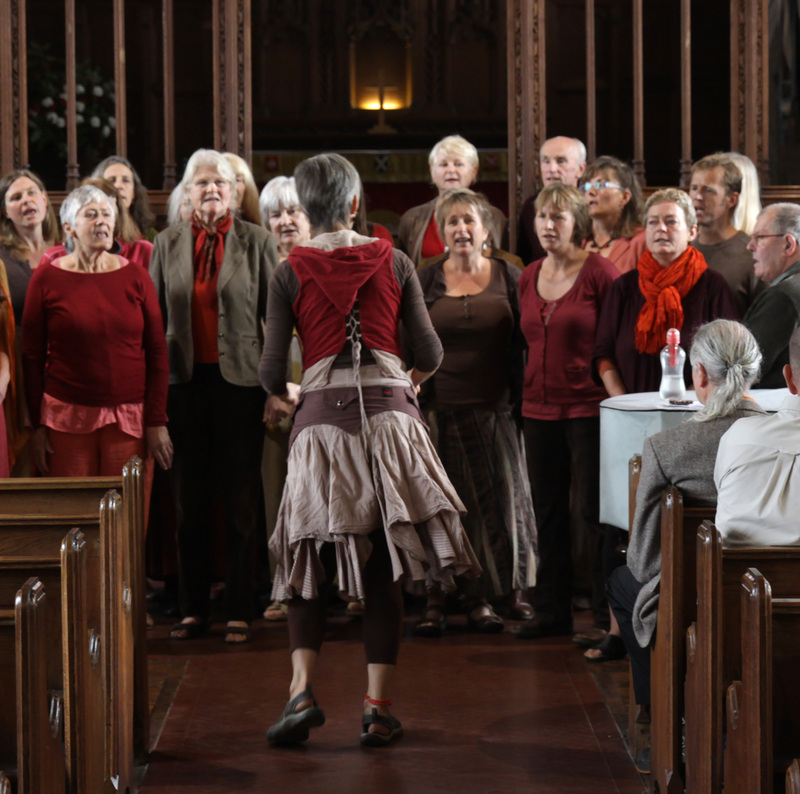 Thank you for bringing Dartmoor Harmony to Moreton Music Day – your music is so warm and uplifting! Thank you for the recordings and for a great evening. You are truly amazing how you can orchestrate all that. Thanks again for everything, you are so inspiring and no matter how tired I am, I always feel uplifted on a Thursday S.C. Thank YOU Bee for a fabulous evening! It’s a two-way process, as your smiling face during the songs was also our positive feedback. I thought it amazing that, within seconds of us all first forming our circle at the start of the evening, you had us singing, harmonising and once again experiencing the joy of coming together in sound…..Great. H.H. Last Monday was great. Went home feeling really uplifted. Missed singing a lot while you were ill. J.K. It was an absolutely excellent workshop, Bee. You gave us gorgeous songs to sing and you taught them very well, just the right pace. Thanks ever so much. Looking forward to the next one… N.D.
To be a part of your singing group is a joy, you have the talent to gently inspire people to share their voices in beautiful harmony. Thank you. B.R. Thank you so much for taking us to Yarner Wood. What a lovely event and such a beautiful thing to be singing together for the people there. It was very special. You had your back to the audience but I can tell you that people were moved, some of them to tears and some to joy, a lot gazed open-mouthed. We touched their hearts and that’s what it’s all about! And thank you for your smile and love as we were singing, you held us with such warmth that it felt like a bubble of harmony-love. M.F. Hi just a little note to say THANK YOU for an amazing session on Monday, that last song blew me away, amazing what can be created out of nothing in ten minutes! H.W. Hi Bee, really missed singing with you all last night…… My thanks and admiration go to you for being such an inspiring and gifted teacher/singer/songwriter. H.H. For me it has all been a revelation as I could not have ever seen myself singing in public. Thanks to you and your encouragement and the lovely music you bring I have found a kind of freedom and joy. A.H. Loved it, loved it, loved it, thankyou so much Bee. Thank you for improving my quality of life! M.G. Taking part in Moreton music day was an absolute joy, have heard lots of very positive comments on the lovely sound we all made, and YOUR ENERGY, so thank you for giving us the opportunity to take part. M.D. 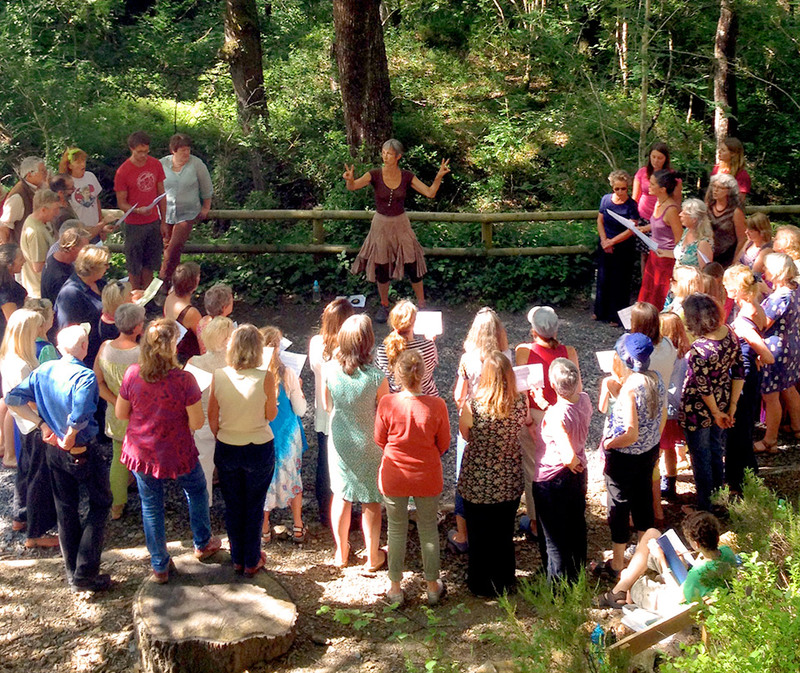 I just wanted to say thank you so much for making our singing on Sunday happen – I’m still not quite sure how you manage the alchemy of getting those sounds out of us! Magic. Whatever, you did a fantastic job and I really enjoyed it (in a terrified sort of a way…..) P.B. I’ve never seen such a vibrant and energetic mother-son team! You work very well together, and thankyou for making it so relaxed and fun. Dave. Really glad you enjoyed it, wish you were in Devon too!